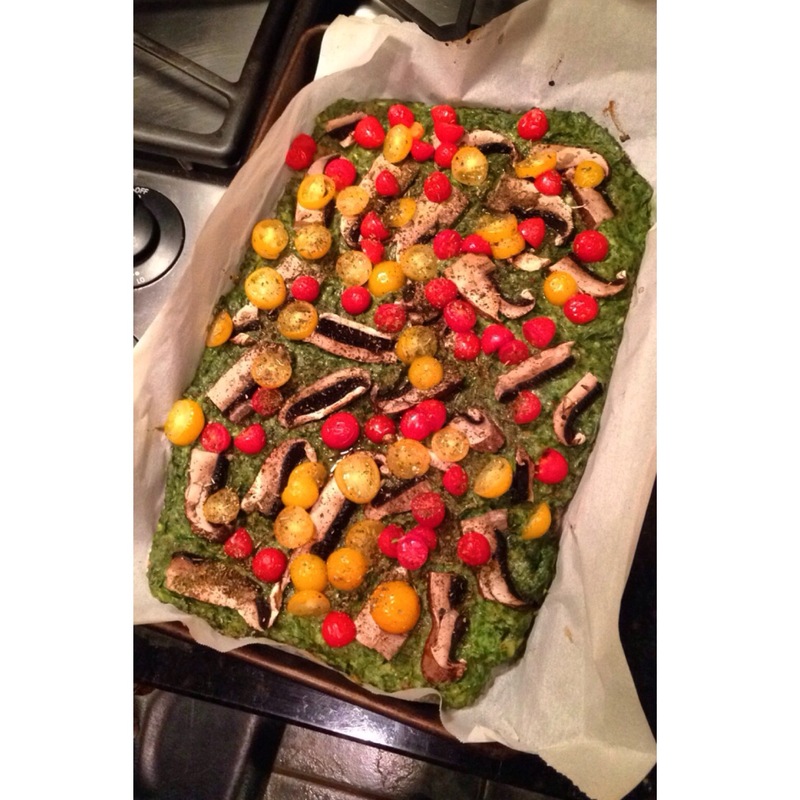 Over this winter break, I’ve gotten a tad pizza acquainted experimenting with some very yummy vegan pizza recipes. Vegan pizza? Say what? Yes, what. It’s a thing, and a very delicious one at that. 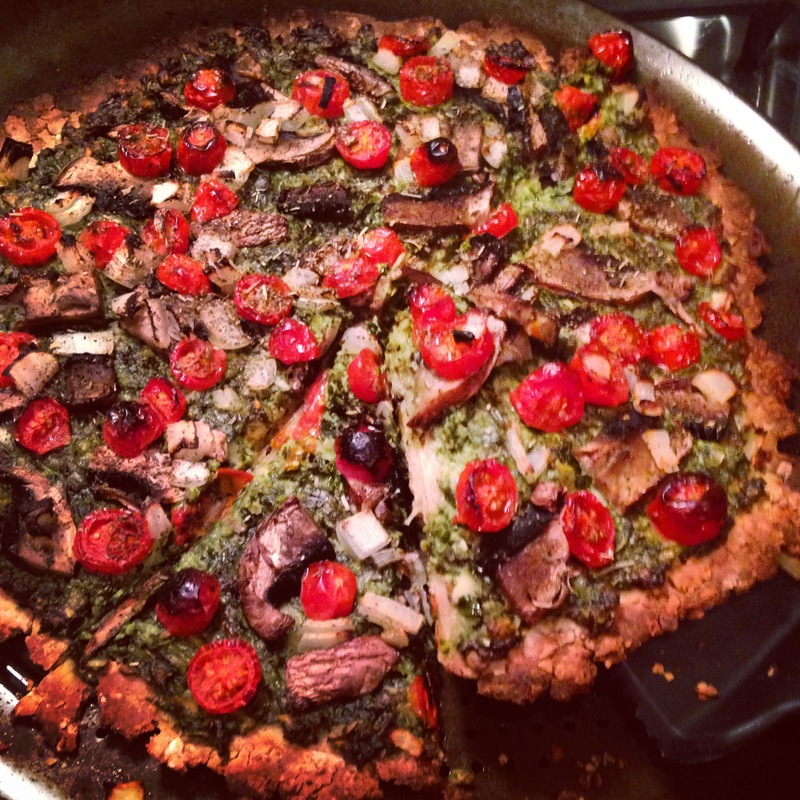 I was initially inspired when I was gifted with Pamela’s gluten-free, dairy-free pizza crust for Christmas. I so luckily stumbled upon the most amazing pesto topping there ever was and decided to use it for both pizza prototypes. Process all of the ingredients in a food processor and wah-lah! Pamela’s pizza crust can be bought in stores or here, with recipe printed on packaging! I recommend prepping the dough ahead of time (maybe in the morning), as to give it adequate time to rise (2+ hours). My mom and I didn’t and rushed the process a bit, so the dough had barely risen. It was delicious nonetheless, just a little flatter and harder. ***My mom and I actually doubled this recipe since we had 2 lbs of cauliflower and I’m so happy we did! I recommend giving yourself at least two hours for this pizza, as the cauliflower crust takes a while to prepare and cook, and the whole crust process is pretty labor intensive. Enjoy my friends, and pizza on! Your taste buds will be dancing !